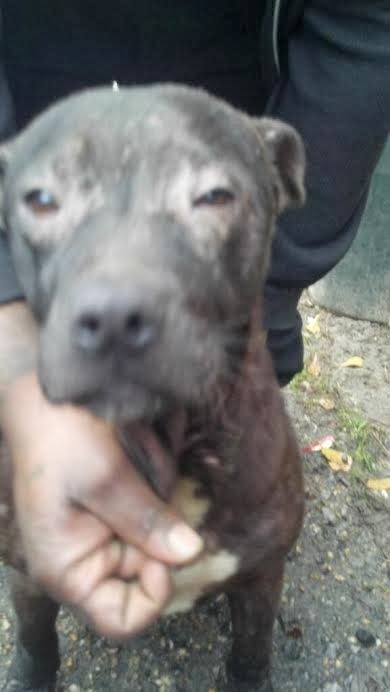 Hearts to the Rescue: Daleville, AL: CRISIS - Noah the trash eating abandoned pittie needs boarding funds immediately, foster home did not work out!!! Daleville, AL: CRISIS - Noah the trash eating abandoned pittie needs boarding funds immediately, foster home did not work out!!! Noah has nowhere to go, please help us raise the funds needed to board him or find a new foster home. 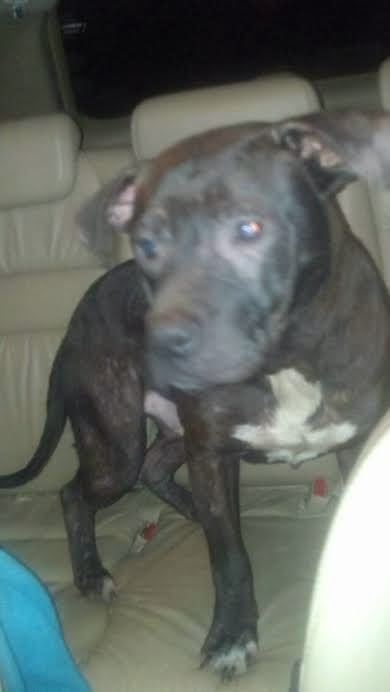 We got a call last night about 9:30 pm that Noah, the little mange pittie from Opp, Alabama that I went and got off the street, has to be picked up from his foster home by tonight. If we cannot raise the boarding funds by tonight he will have nowhere to go. When she got back home, he and Eva had been in a fight and both had a few minor cuts and he was limping a little bit on one foot. Because of this Noah can no longer stay there to foster and we are in panic mode about finding him somewhere safe by tonight. My only options are vet boarding, which is 17.00 a day and I really hope we don't have to do, or boarding at the local rescue in Daleville, and she will only charge us 12.00 a day but would need us to pay in full for the two weeks I have asked her to give me to try to find another foster, then we could re-evaluate if he needs to stay longer if I have not found a foster. The total for the two week period would be 168.00. IF we can raise more than that, they will keep him as long as the funds are there and we will not have to stress so much about a foster, as they are almost nonexistent in my area. 1. to the rescue's paypal address at allbreedsrescueadoption@gmail.com-- however, they have a monthly withdrawal limit. 2. I have offered to let donors use my paypal which is melissa.moore@troycable.net - I can take your donation in, in your name, to them. Receipt proof can be given from the rescue to assure that your donation was taken in, if you choose to use my paypal so they can get the money sooner. If you donate through my paypal, PLEASE indicate in the note box that it is for Noah as we have several strays we are trying to raise funds for vet bills for right now and I want to be sure it is applied to the right dog. I am hoping his injuries are better today and that he was just sore on that foot, but if not I will need to get him back to the vet for a check and regardless I have to go get him from her tonight because he has to go. I know many of you were very concerned about Noah when he was found on the street eating trash..... maybe his friends who helped before can help again and/or share widely for him! The good news is his fur is coming back great after all the dips he had and he looks like a different dog! He is SUPER sweet and playful and until this incident he got along great with every single dog and cat he has been around - I don't know if there was maybe food involved or what, but unfortunately Noah can't stay there any longer. This was Noah's initial information when he was found eating trash on the street in Opp, AL. 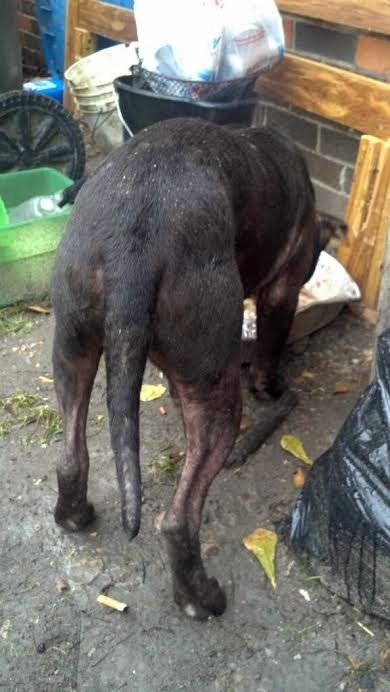 Poor Noah has suffered on the streets his whole young life and his hair is almost gone but ALL OF HIS SKIN SCRAPES HAVE SHOWN UP NEGATIVE FOR DEMODEX OR SARCOPTIC MANGE. Maybe he has a bad skin allergy? He is in very temporary foster and sweet little boy, and so will need somewhere quickly once we determine what his mange is. NOAH IS SUPER SWEET, YOUNG, GREAT WITH DOGS/CACTS/KIDS, AND HEARTWORM NEGATIVE!